I finally got the chance to go out to the Schellville airport for the “demonstration days” weekend. It was great to see a bunch of vintage planes but it was much more low key than I was expecting. Basically, some people just had their hanger doors open so you could see their planes. There were planes in various states of repair. I was talking to one fellow who had a beautiful 1918 biplane that he had spent the last 30 years restoring. He was now working on anther plane that was just a pile of pieces of metal and wood in the hanger. 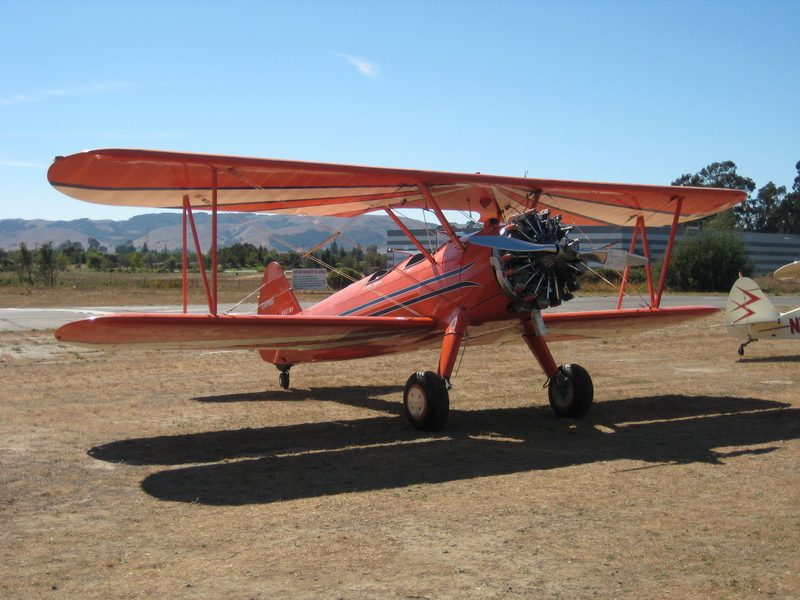 He also directed me to the Sonoma Sky Park airport a couple of miles away that had a real vintage air show going on. I found lots of people and planes there. All in all, a very pleasant way to spent the afternoon.